Accenture Placement Syllabus and Test Pattern 2019 – Welcome readers, we are here with the full detail of Accenture Placement Test Pattern and Test Syllabus. 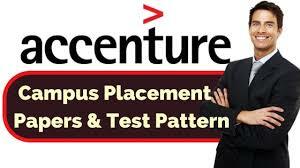 Now you will read details about the Accenture company and its Placement Syllabus and Test Pattern. It is one of the global companies. Accenture is a world’s largest IT company who works across domains which ranges from consulting to IT Services. It’s headquarters are in Dublin, Ireland and it reached to India in 1987. Its first office in India was in Mumbai. Today its centers are in Delhi and Chennai also. The company offers good salary and encourages its employees with extra perks. The candidate should score 60% or above in B.Tech. There should not be a gap of more than 1 year. 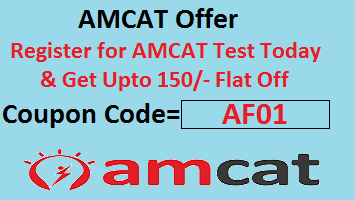 The written test pattern for Accenture Placement Papers is same in both AMCAT and Merit Trac. For Quantitative Aptitude the candidates has to answer 25 questions with the duration of 35 minutes. For Logical Reasoning the applicants has to answer 25 questions with the duration of 35 minutes. For Verbal Ability the candidates has to answer 25 questions with the duration of 25 minutes. In total the aspiring candidate has to answer 75 questions in 95 minutes. For Analytical Aptitude the candidates has to answer 20 questions with the duration of 20 minutes. For Verbal Ability the candidates has to answer 20 questions with the duration of 20 minutes. For attention to detail the candidate has to solve 15 questions with 20 minutes of time duration. In total the aspiring candidate has to answer 55 questions in 60 minutes. This section covers the English portion of the applicants. The questions are covered as noted under- Reading the Comprehension, Analogies, Correction of the Sentence and detect the error in sentences, Fill in the blanks, One word Substitution,Spellings. We hope that we have given you the complete information about Accenture Placement Syllabus and Test Pattern 2019 and Accenture campus placements. All the best for your exams. For further details and for timely updates the candidates can click or visit to Accenture website and take the advantage of our efforts.